Diamond Books provides an opportunity for children to become familiar with the Bible as they learn to read. In an uncertain world this gives them a secure framework on which they can build. It also assists them to make choices, leading to balanced and fulfilled lives. What is a Bible-based reading project? Diamond Books is a unique initiative combining the advantages of reading schemes and ‘real’ books. There are twelve sets of books to aid the teaching of reading for children between the ages of 3 and 9 years. Teaching aids are provided throughout. It uses the Bible as a basis for the content and includes direct reference to the Bible wherever appropriate. Isn’t a Bible-based reading project rather a narrow concept? Rather than the Bible restricting its readers, it can, in fact, open up to children a greater awareness of life to live it as God intended. The rich variety in scripture includes narratives, poetry, songs, letters and stories, as well as historical details and geographic and scientific accounts. Diamond Books aims to enrich children’s literary experience as they learn to read. Aren’t there plenty of Bible-based books for children to read already? There are many well-presented Bible-based books that can be read to children but very few books that can be read by children themselves. There is a lack of Bible-based books with a systematic language structure that is directed to specific age groups. Does Diamond Books replace other reading schemes? Diamond Books is designed to be part of children’s reading experience and should not exclude other reading books. The project can be used alongside existing reading schemes. Are Bible-based reading books relevant to children’s experience today? Diamond Books aims to extend children’s understanding of their world. Children are daily bombarded with information, attitudes and perspectives, largely from a secular humanist world-view. The project lays a more helpful moral foundation and enables children to know their worth as responsible, created human beings. Most Bible translations have a reading age of above 9 years. 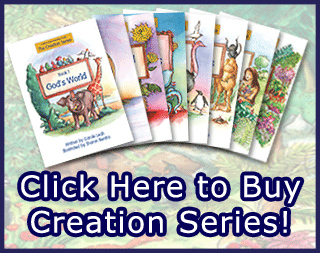 Diamond Books allows younger children to read the Bible stories in a simple and yet still accurate form. What particular needs are addressed within a Bible-based reading project? Many children are well provided for in terms of their emotional, mental and social needs but their spiritual needs are neglected in many homes and classrooms. Diamond Books presents aesthetic, humorous and enjoyable material that is relevant to their spiritual development. The project introduces the supernatural in a Biblical manner unlike the occult material in some reading books that often generates fears in children. These fears hinder children’s spiritual development. Who will buy these books? Many teachers in state as well as Christian schools in the UK are looking for good, relevant and helpful reading material that has Christian content. With the promotion of the teaching of Christianity in British schools, Diamond Books will prove invaluable. People in other countries have expressed a desire to use Diamond Books and to see the series developed into other languages. It could also be adopted in countries where English is taught as a second language. So what is Diamond Books? It is a Bible-based reading project for 3-9 year olds, based on the Bible. It aims to foster a love for the Bible, to provide well illustrated and carefully structured texts with practical ideas and instructions to develop reading at various learning stages, to bring a refreshing light-hearted dimension – including the antics of modern day characters who appear in the books, to teach reading skills, e.g. sight vocabulary and phonics, grammar and spelling rules, to assist struggling readers with a special set of books, to equip children in difficult times with Biblical resources to alleviate fears and bring positive ideas into their lives and to give children examples of moral and spiritual choices and their consequences. What is distinct about Diamond Books? Diamond Books is designed to reinforce the learning of basic reading-for-meaning. Diamond Books values the Bible as God’s written word which will give primary purpose to reading, reinforce the value placed on Bible reading in the home, enable Bible-based materials to be used in state schools as well as in Christian schools and in other English speaking countries, provide systematic Bible-based reading for children who may lack regular Bible teaching in their own homes; promote Christian standards and the concept that God is real; provoke and answer fundamental questions about origins; and encourage security and confidence in children as they learn that God is in control. It may be helpful to look up various Biblical references to study these issues for yourself.